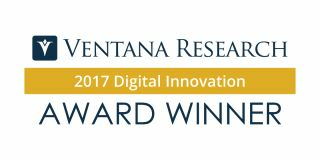 (Sunnyvale, CA and Ra’anana, Israel) October 2, 2017 –– Anodot, the AI-powered analytics company, today announced that Ventana Research declared it the winner of the 2017 Digital Innovation Awards in the Analytics category. Anodot’s technology was recognized as the best analytics innovation across business and IT. The Digital Innovation Awards recognize technology providers that have introduced noteworthy innovations in technology that advance business and IT. The award showcases advances in the productivity and potential of business applications as well as technology that contributes significantly to improved efficiency, productivity and the performance of an organization. Companies can easily lose millions of dollars from preventable glitches. Anodot uses its patented artificial intelligence to uncover hidden insights in vast amounts of business data by identifying outliers in key performance indicators and correlating across multiple data sources. Anodot’s practical and innovative AI analytics solution can track highly complex data patterns with its unsupervised machine learning algorithms.